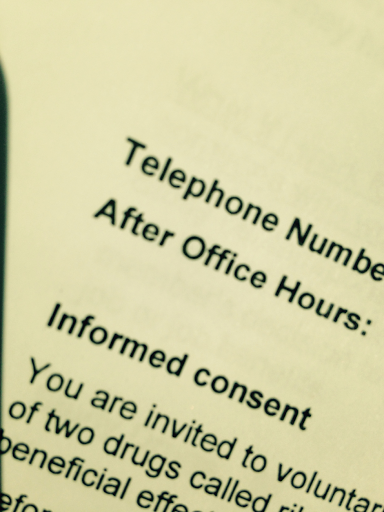 After having about 35 pages READ to us we SIGNED CONSENT for a clinical trial! After fasting all day no blood draw was required after all! Ha! Gotta roll with it or it will make us crazy! Thankful to have my spot and be on the road to get our boy from camp! Thx for prayers!!!!!! When it's a BIG BIG DAY and your phone shows the doctor is calling an hour before your appointment......it is nerve racking! ....and now they called again to say it will actually be 3:00 before they can see me and to eat something light right now and then start fasting! Okay, breakfast sounds good! This is the life of cancer treatment and I'm sure any long term medical condition. Our life and schedule once again becomes dictated by the doctors and facility schedules. My sister's friend is all ready to watch Katy & I's three little kids and the kids are looking forward to it. My sister planned her morning to go with me. And now, I impact their lives as well with one little phone call. Plus, we were leaving town at 2:30 today to drive to Colorado and pick up our son from camp in Estes park. He needs picked up by 6 pm tomorrow night. What a quick reminder of what is to come. What life is like on treatment. I'm thankful to have a treatment, but honestly dread the interruption to life again. May my eyes be open to see what God is teaching me through this lack of control once again. Thank God with us that the trial is still happening! Pray that they will really be ready to sign me at 3:00 so we can still easily get to camp and pick up our son on time! Pray that all testing and pre-req goes smooth and that ultimately God will allow this trial to give me more active life with my friends and family! 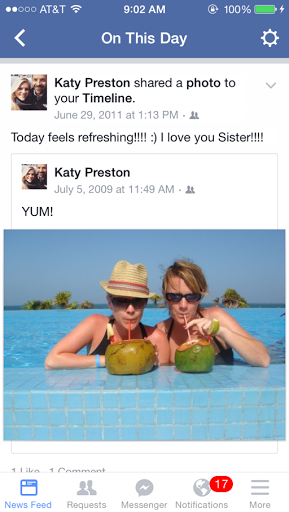 After my nerves were all heightened yesterday, I am reminded by facebook this morning of Gods faithfulness since the very beginning. 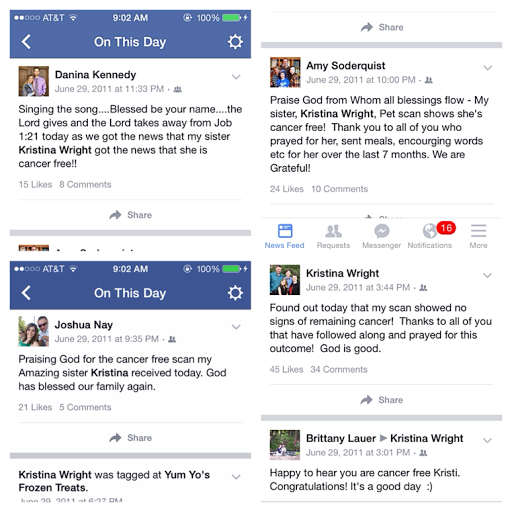 On this day 5 years ago I had finished my first 7 month battle with cancer. MY PLAN was to be mentally strong, to dig deep within myself and get from "here to here" so I could put cancer behind me, giving God the glory for MY VICTORY! GOD'S PLAN was to teach me that I needed His strength, which is beyond measure compared to my own. THAT GOD would bring Himself glory through my weakness and remind me of HIS VICTORY regardless of my remaining cancer. Through complete brokenness and dieing to my own strength and abilities HIS PLAN is now MY PLAN. Guess what? My story isn't over yet! This Thursday I get to go meet with my local medical oncologist to learn about a KRAS Phase 1 clinical trial starting here in Northwest Arkansas! If all goes well I will be able to sign the consent to participate and begin all the pre testing required before treatment can begin. This can take 30 days after I consent, based on my understanding. This is such an answer to prayer and a beautiful gift of "something to try" when no standard treatment options are left. Yet, I cannot deny that it is making me very nervous. The fact that I have "something to try" means that treatment must begin again soon. I wonder if it will work. I worry about how it will make me feel. I wonder what it will cost....physically, emotionally and financially. I admit there is an active battle in my mind and heart. 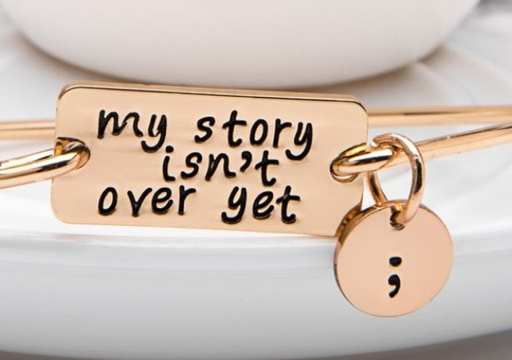 I am grateful that my story isn't over yet. I'm worried this won't work or will steal my quality of life. I feel guilty for dreading a treatment when there are others who are begging for a "something to try". The battle goes on and on, back and forth. I've drafted other posts about how God is encouraging me in this battle, but I feel that God is asking me to share the struggle instead of His answer...for now. Please join me in thanking God for answering our prayers for a clinical trial. Thank God for the many people who leaned in against the crashing current to help me stand strong in the face of disappointment and illness. (See Older Prayer Request Post) Thank God for a clinical trial that is local and a doctor who is actively pushing it through. Also, join me in asking God that the trial will help me in a shockingly positive way. Ask God to keep away all side effects and allow me to continue to live as active as I am now. Ask God to lead the way and use my story to bring Him glory and honor. May I fade into the background and only Christ be seen in my life. Yay......I'm so excited to share this news with you all! It's been a long wait! Thursday at 10 am!